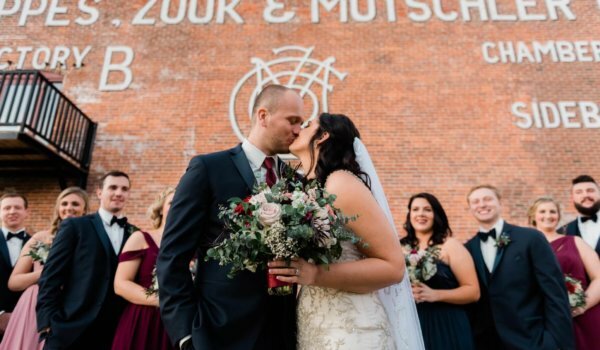 Founded in 2008 on conservative values, Coppes Commons is a family-friendly, alcohol-free venue located inside a restored nineteenth-century furniture factory. 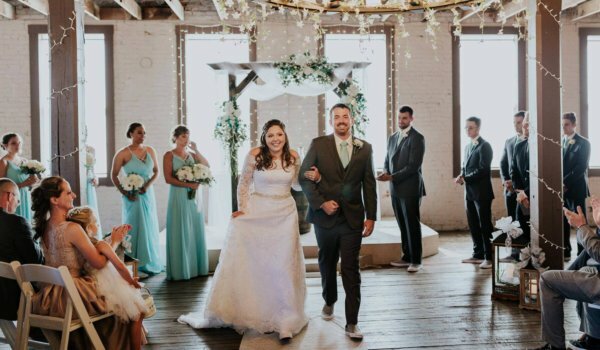 Our historic event and wedding venue offers an elegant industrial ambiance with exposed brick and beams, original hardwood floors, banked windows and other original factory features. All are warmly lit with custom-made chandeliers and glittering string lights. 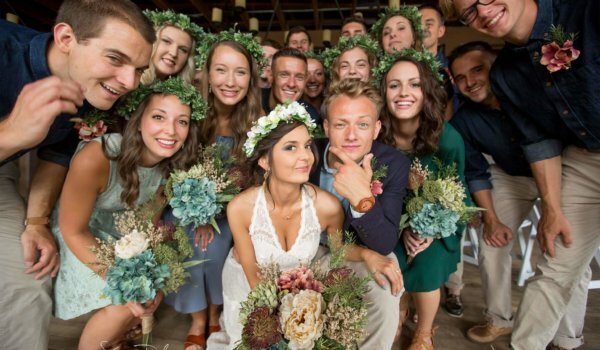 While each of the four rooms available features a different size and overall style, all are excellent spaces for weddings, meetings, receptions, family gatherings and more! 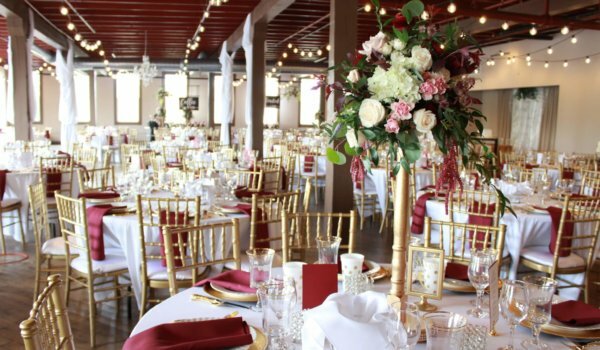 A large prep kitchen, bride and groom suites, décor rental, optional on-site catering, and event planning services are available. 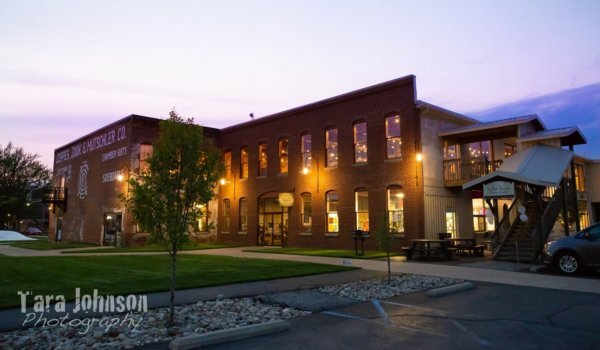 For pricing, additional information on available rooms and reservations, call us at (574) 354-7455 or email info@coppescommons.com. 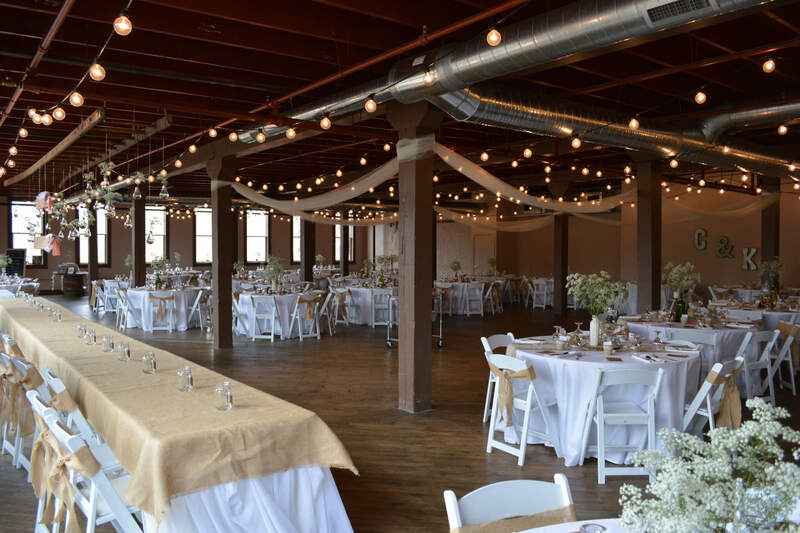 Located on the second floor of Coppes Commons is our largest event space, the Upper Room, which seats between 300-350 people. Our most-recently renovated room is the Joining Room, where you’ll find custom-made iron chandeliers and coordinating sconce lighting. 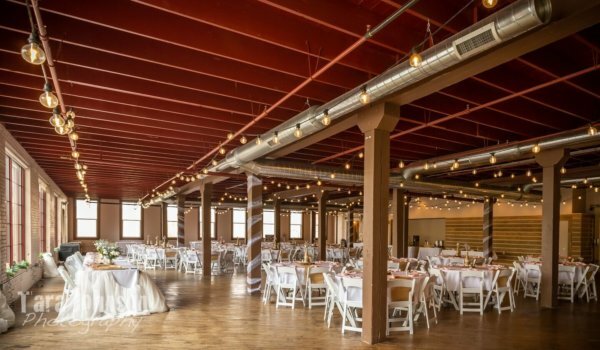 Exposed brick walls, rustic wood floors and dramatic ambient light through west-facing windows set a dramatic scene for your special event. A balcony overlooks the seasonal quilt garden as well. A smaller event venue, this space can accommodate 250 guests. 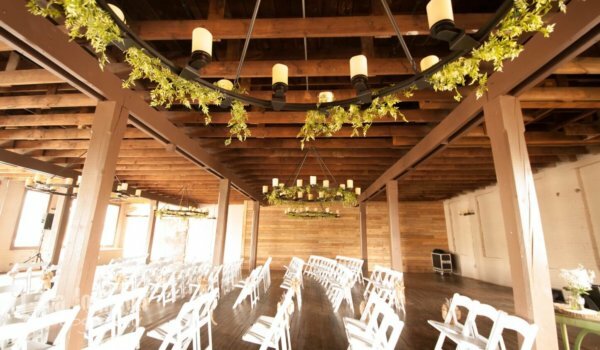 Pair it with the adjacent Upper Room for a convenient wedding ceremony and reception layout. 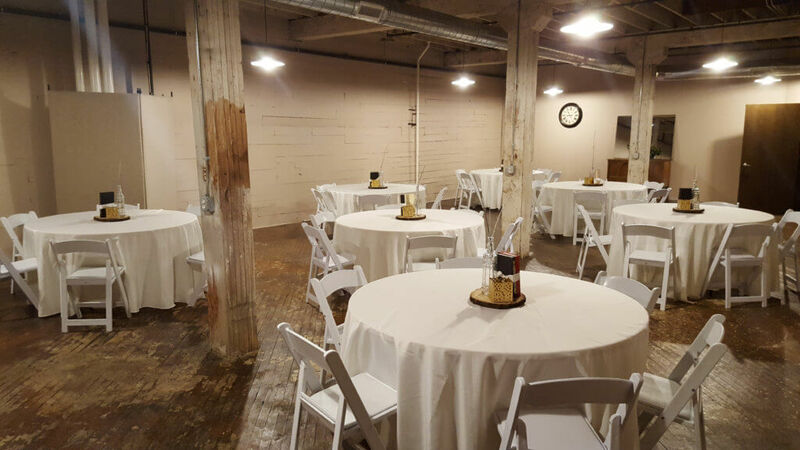 Our smaller special event room is located in what was previously the finishing room of the cabinet factory. 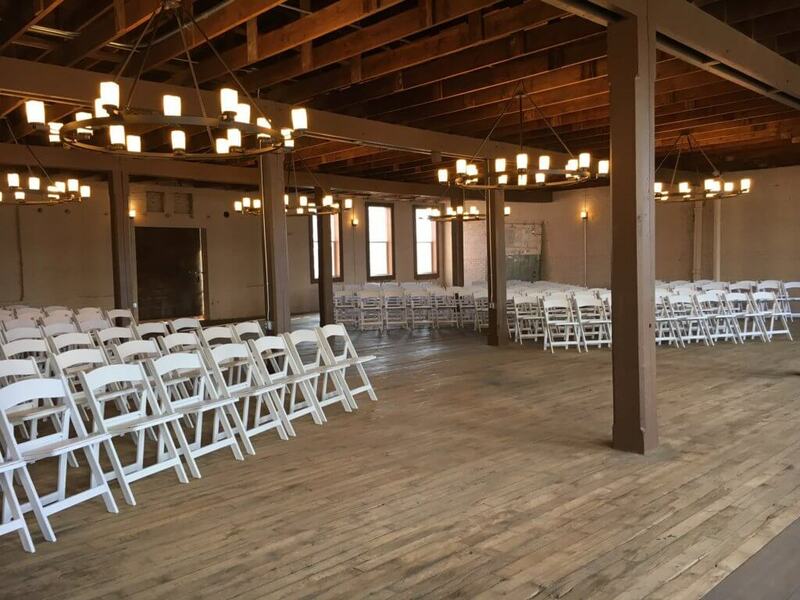 The size is well suited to birthday parties, showers, and small business events. If it’s a small meeting space you need, our conference room may be just the place! 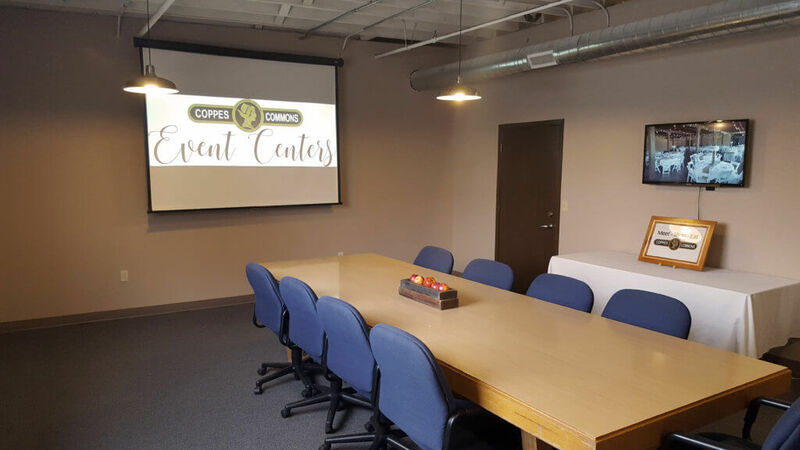 This private location offers dry erase boards, overhead projector and screen, flat screen monitor and optional on-site catering.